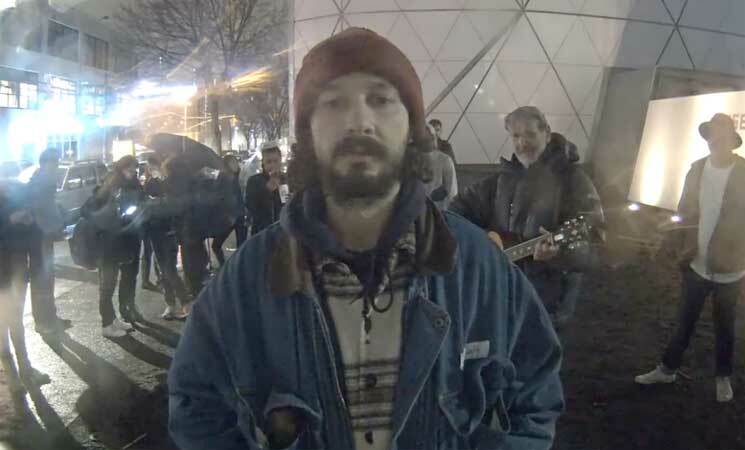 Shia LaBeouf's "HE WILL NOT DIVIDE US" art installation originated with good intentions, but has run into some difficulties since it opened on the day of Donald Trump's inauguration (January 20). Now, the entire anti-Trump project is getting shut down. The Museum of the Moving Image in Queens, NY, has closed the performance art piece, citing "serious public safety hazards." In a statement released this morning (February 10), the host venue explained that LaBeouf's project "had become a flashpoint for violence and was disrupted from its original intent," explaining that, after numerous threats of violence and arrests, police had to be stationed outside the exhibit 24 hours a day. We are proud to have launched this engaging and thought-provoking digital art installation which was experienced by millions of online viewers worldwide. Until public safety concerns overrode the intent of the installation, HEWILLNOTDIVIDE.US generated an important conversation allowing interaction among people from many backgrounds and with different viewpoints. However, ending our engagement with the installation is the most prudent path forward to restore public safety to the Museum, its visitors, staff, and the community. "HE WILL NOT DIVIDE US" was originally supposed to run through the duration of Trump's four-year term. The project featured a live video stream of participants speaking the installation's titular phrase into a street-level camera.